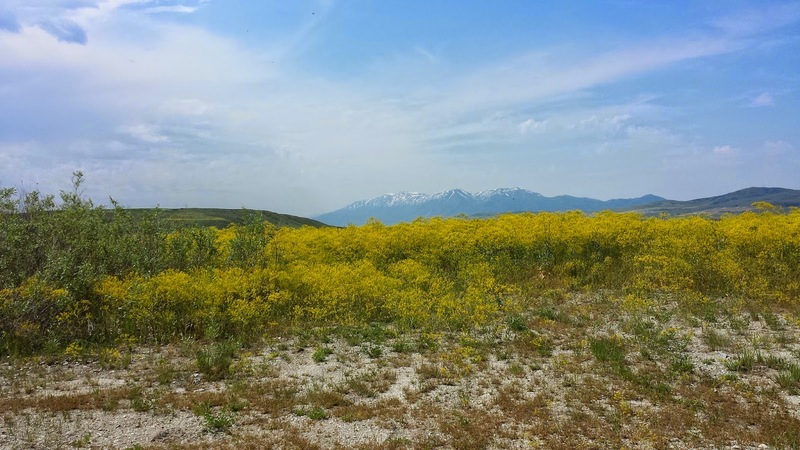 With plans to take the Tank into Idaho for the first time I headed north of Salt Lake City to the small Utah town of Newton where early LDS pioneers created an earthen water conservation project across Clarkson Creek in 1872. 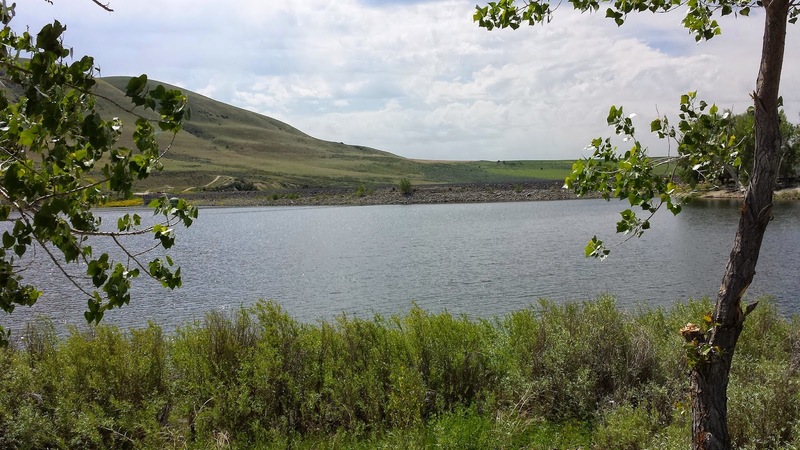 It was the first large irrigation project in Utah and one of the first in the entire US. The earthen dam was replaced in 1946 by a more permanent dam a mile downstream from the original creating the 300 acre Newton Reservoir. 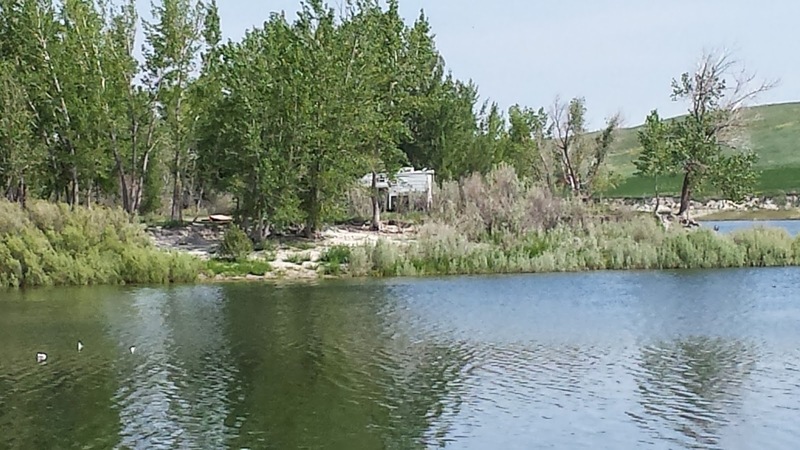 You can camp for 14 days free at Newton Reservoir, unfortunately my black tank filling up limited me to four days before I had to leave and seek a RV tank dump site but while there I enjoyed the pond-like atmosphere. My site was on a small peninsula protruding into the reservoir. The two track road into my site was very heavily rutted but steering so the Tank's wheels stayed out of the ruts allowed me to make it to perhaps the nicest campsite on the reservoir. 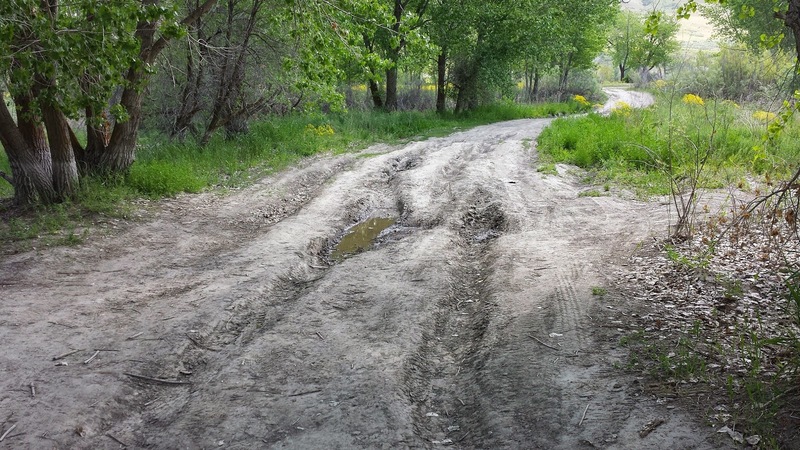 Go slow and keep out of the ruts and you can make it. 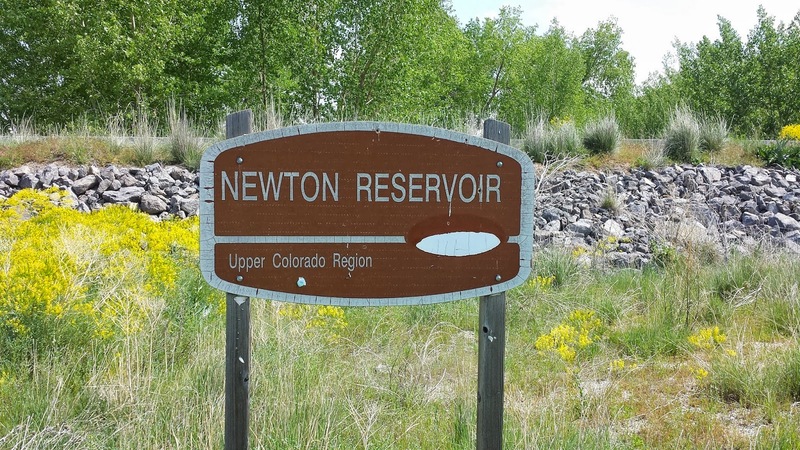 If you are allergic to golden rod you may want to avoid camping at Newton Reservoir in the late Spring! Just one of the golden rod fields near the reservoir. There was fairly heavy use of the reservoir by water skiers during the low-80's weather while I was there. Usually the mornings were fairly boat free. Newton Dam from the Tank's site. Camping at Newton Reservoir was really enjoyable and I would have stayed longer if my tanks had allowed. Try it, you'll love it!